Our finger bottle opener is an easy and quick tool for your customers or participants to open their bottle of beers and/or soft drinks. The finger opener just requires one finger to open a bottle, what makes them a real eye catcher on your event, party or inside your bar. 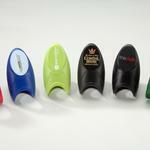 This makes the one finger bottle opener a really good promotional article! The finger openers are made out of ABS plastic what makes them strong, reliable and it can be used for a long time. 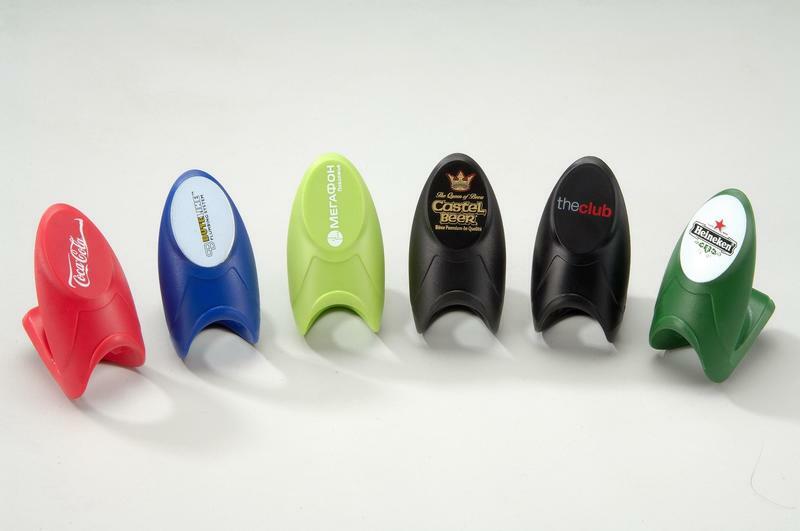 We can print the finger bottle openers with your own logo, slogan or text. Please contact us for more information or check below for a quick quote on price and delivery time for your bespoke finger bottle openers. Save 11% per piece by doubling your order to 4.000 pieces.